Another Hernando to a cutie! A very special thanks to the parents for contributing as well as our Pepsi Refresh Grant that provided the funding match from Angels4Epilepsy. Thanks to Monica from TG Bear in providing the bears to us at a reduced costs to be able to bring some smiles to children undergoing an epilepsy related procedure. 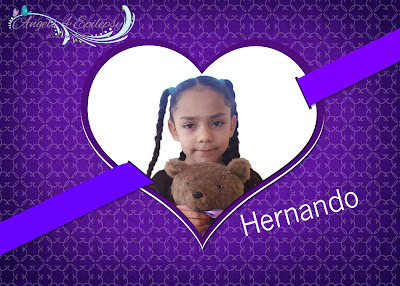 To join us on Facebook, click here on the TG Bear and Angels4Epilepsy Hernando Bear to a Child with Epilepsy support group.